You see those beautiful eyes and that heart-melting smile. What you don’t see (and probably rarely think about) is what’s going on in your child’s brain, which is steadily growing, preparing itself for the challenges of adult life, and will continue to do so until your child leaves home. In this blog I’ve written extensively about the adolescent prefrontal cortex (PFC), which is in a sensitive period of growth. Among other things, I hope my insights have stimulated an interest to learn more about the brain. What you need is an uncomplicated, entertaining, and always-on-target explanation of the most important basics of how the brain works – the ones that best inform your parenting efforts. Such a book exists. 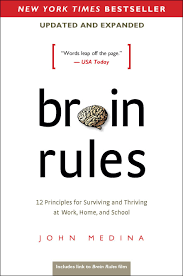 I first read it about ten years ago, and now it’s available in an updated and expanded edition (2014): Brain Rules: 12 Principles for Surviving and Thriving at Work, Home, and School, by John Medina. Not sure why a parent should know some basics about the brain? 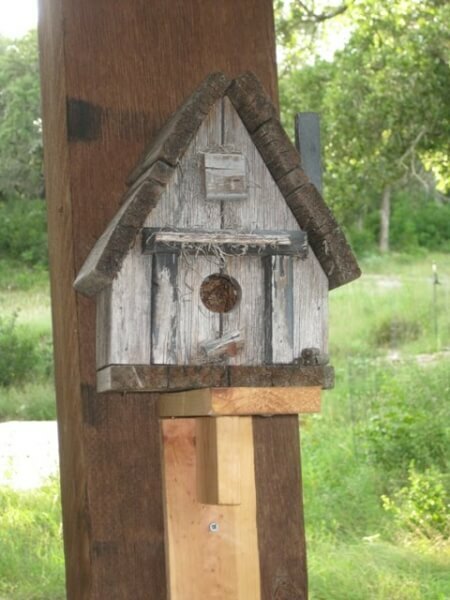 Here’s an example. Just below the cerebral cortex (the outer, thinking part of the brain) is a two-lobed structure called the “thalamus.” When your sense organs send input to your brain, they first must pass through the thalamus, which acts as a kind of traffic cop for sense signals. The thalamus also receives signals from the prefrontal cortex, which tells the thalamus what to focus on. This is how you can consciously pay attention to something. But the thalamus allows you to focus on and think about only one input at a time. For example, you can focus on a piece of music while reading a book, and then realize that you didn’t absorb what you just read. This is a survival mechanism; imagine how chaotic your mind would be if your consciousness was flooded with every possible sensory input. The rule: the human brain can only pay attention to one thing at a time. You can do more than one thing at a time if one of the things can be done “automatically” without thinking about it, as in chewing food while talking to someone. Or if you can switch your attention back and forth rapidly, which is what a pianist does when he plays while talking to someone. This is why your kid may not hear you at first when you speak to him. He’s probably not being disrespectful; he may be paying attention to something else, such as a video game or a memory of something that happened at school. The solution: address him by name first. “Lucas, I want to ask you something.” The word “Lucas” has lis emotionally charged, so it will be allowed to pass to the cortex. This is why driving a vehicle while operating a cell phone is a very bad idea. You have to focus to press the keys, so it’s impossible to be conscious of what’s happening on the road at the same time. This is why your teen is mistaken when she says she can do her homework while listening to her favorite pop tunes. As soon as she pays attention to the lyrics, she’s no longer able to comprehend what she’s reading. This is also why your spouse doesn’t seem to pay attention to you while he’s reading the newspaper. If he’s focused on what he’s reading, your voice won’t register on his consciousness. Multi-tasking is a horribly inefficient way of doing anything. Shifting and refocusing your attention back and forth takes additional time and brain energy. Medina treats these topics with an entertaining sense of humor. Learning huge insights from an easy, fun read – how cool is that? To find out how to maximize the development of your adolescent child’s brain, get my new book: How Your Teen Can Grow a Smarter Brain.